Contact Info: Please direct questions about the Cleveland Oktoberfest Wiener Dog Races to Jennifer Paul by email at UFGatorJenn@aol.com. In 1967, five hard working European sausage makers founded the Storer Meat Company in Cleveland, Ohio. We immediately began manufacturing and processing meat and deli products under the “FIVE STAR” Brand name. The FIVE STAR Brand name was born and raised in Cleveland, Ohio with the time honored recipes that these men brought to the U.S.A.
Cleveland has always been our home and that is why we refer to our brand as Cleveland’s Own, FIVE STAR Brand! We have been located in Ohio City since 1968 and our product line includes a variety of natural casing sausages and wieners along with a full line of deli meats. Each item is made with the freshest cuts of pork and beef and all are handcrafted in small batches. The Storer Meat Company has been proudly serving the Cleveland area for over 40 years and is still locally owned and operated by the Gutwein family. You can find FIVE STAR Brand products in the deli and meat departments in many of Cleveland’s grocery stores, specialty stores, wholesale clubs and restaurants. For more information about our delicious old world products, visit us at www.fivestarbrandmeats.com or on Facebook. “Now here’s the tricky part, you’ve gotta ease up on Landbiscuit — let him see Frank coming up out of the corner of his eye… then he’ll switch into a whole new gear” — from really slow, to not quite as slow as that. Okay, so dachshunds aren’t born to run, but they are cute, and they really try–well, most of them do. If your wiener dog feels the need for speed, comes from an impressive blood line, or just dresses well enough to come in last and still merit a photo finish, feel free to enter them in the The Cleveland Oktoberfest Wiener Dog Races (a.k.a. Wiener Dog 50). 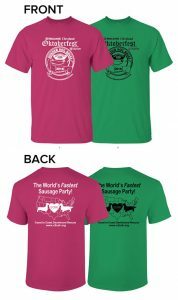 The cost for entering your dachshund in the races will be $8.00 (proceeds to benefit Coast to Coast Dachshund Rescue). We help contestants offset this cost by offering ONE FREE ADMISSION to anyone who comes to the gate with a wiener dog. 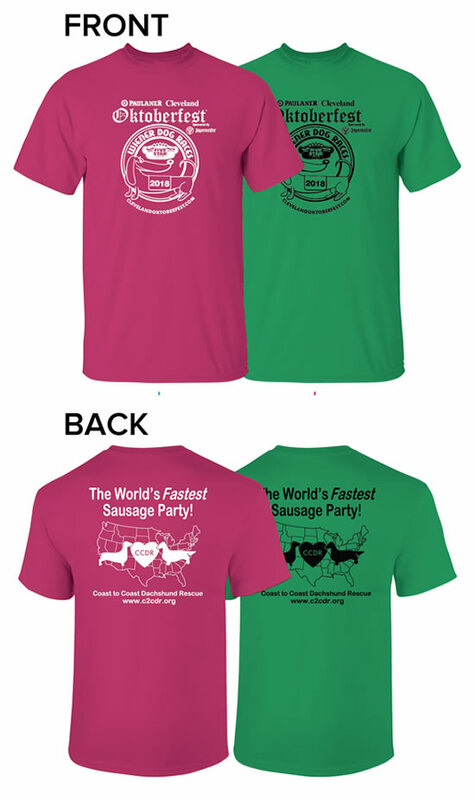 Don’t forget to purchase a Wiener Dog Race T-shirt in support of Coast to Coast Dachshund Rescue.